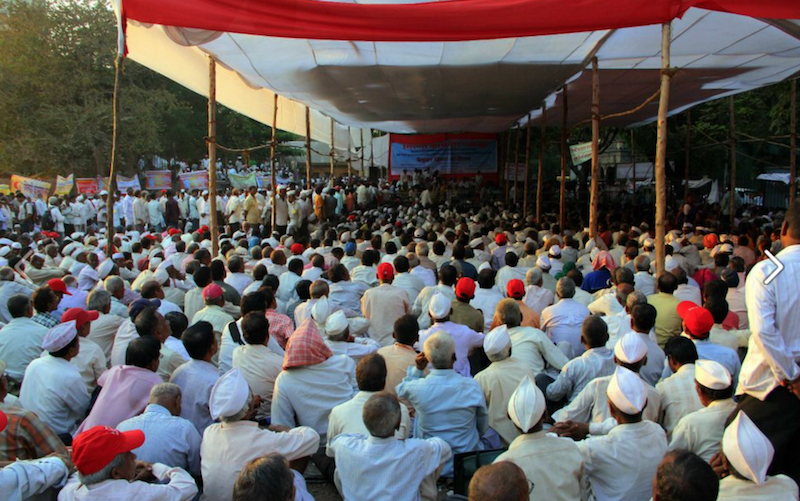 A 17-year struggle by Mumbai’s textile millworkers against powerful mill-land owners, for land and housing as compensation for job losses, resulted in a historic gain of workers’ rights over a part of urban industrial land. Mill workers of Mumbai have a 150-year tradition of struggle. When the mills went into decline in the 1980s and 1990s, they continued to fight, first for their jobs, and when mills closed anyway, for their right to live in the city. Six hundred acres of mill lands belonging to 50 or so textile mills had become prime real estate and was developed into luxury offices, apartments, clubs and malls. This was land that had been given to mill owners over a century ago solely for industrial purposes. Workers demanded a part of the land for workers’ housing. The struggle resulted in legislation granting rights over a portion of the land. 8,000 apartments have been offered so far and construction of a further 18,000 units is ongoing. The government says it is looking for more land to meet the target of 100,000-150,000 units. The struggle continues. GKSS, an independent mill union/committee set up in 1990, organised demonstrations, occupations, lobbying with parliamentarians, negotiations with government, media advocacy, street barricades, sit ins, and marches. The state overtly and covertly supported the mill owners. What worked in the end was dogged persistence, an effective strategy of broad and multiple alliances, the political and electoral importance of mill workers, and the sympathy of lower level police and bureaucrats who were from mill families. This struggle is unique for its strategies, and the importance of fighting for concrete gains for the constituency and for the broader community.